The News-Herald Blogs: DSG's Affordabili-TEES: Fall golf trip 2012, Days 5. 6 &7: Santee, S.C.
Of all the great out-of-state destinations we've visited since launching this blog two years ago, none better embodies the core principles of "Affordabili-TEES'' than the South Carolina crossroads town of Santee. Santee. is all about quality golf and lodging at hard-to-beat prices in a friendly, down-home community. Throw in great location on the busy I-95 corridor and it's no wonder an estimated 150,000 golf travelers make their way to Santee every year. Tens of thousands of those travelers pull into town in vehicles with Ohio license plates, many of them issued in the Northeast Ohio counties of Lake, Geauga and Cuyahoga. From where traveling partner George Sweda and I started our trip, it's about 700 miles to Santee. That's do-able in a day, but if your schedule permits, I'd recommend making this trip in two legs. Here's the plan I'd suggest. On Day 1, go to Wytheville, Va. From anywhere in Lake County, it's about 360 miles straight down I-77. Leave early in the morning, and you could even get in 18 holes at Wolf Creek Golf Club in Bastian or Draper Valley Golf in Draper before checking into one of the many affordable motels at the two Wytheville exits. Check out previous installments of "Affordabili-TEES,'' including the first entry from this trip, for more details about golf and lodging in Wytheville. On Day 2, make your way down I-77 south to I-26 south (toward Charleston) to I-95 north. Santee (Exit 98) is just a short jaunt up I-95. Our hosts for a three-day stay in Santee were the husband-wife team of Todd and Penny Miller. Todd is the general manager of Santee Cooper Resort, the owner and operator of Lake Marion Golf Course, Santee Cooper Country Club and the nifty golf villas at Lake Marion. We stayed in one of the villas. It featured two spacious bedrooms, two bathrooms, large living room and full kitchen. The villas, less than five years old, were quite busy when we were there in mid-October. Penny manages the pro shop at Lake Marion. It's a first-rate shop with tons of stuff to buy at reasonable prices, a snack bar and a club repair shop operated by Jack Slater. If you are planning a trip to Santee, Todd and Penny recommend that you check out the many stay-and-play packages offered on their website, www.santeecoopergolf.com. From now until Nov. 13, the villa packages set up for quad occupancy are $268 per person for three nights and four rounds, two each at Lake Marion and Santee Cooper. From Nov. 14 to Feb. 5, that price goes down to $180. The rates will go up to $300 or slightly more in March 2013 and April 2013, the peak "golf snowbird'' months, but those numbers are still solid values given the quality of lodging and golf. Unless I'm misreading their flyer, the Millers and their staff can work with you to pull together stay-and-play packages using various hotels and motels as well as 17 golf courses in the Santee area. We played Lake Marion, Santee Cooper and Wyboo Golf Club. Lake Marion was my personal favorite, followed closely by Santee Cooper and Wyboo. Located just minutes from the I-95 exit and essentially next door to each other, Lake Marion and Santee Cooper are solid tests of golf. From tee to green, playing conditions at both courses are top-notch. Especially for first-time visitors, the golf experiences at Lake Marion and Santee Cooper are made easier by on-cart GPS systems that are the best I've ever seen. They provide accurate yardages not just from the cart to the pin, but from the cart to hazards and to the front and back of greens. 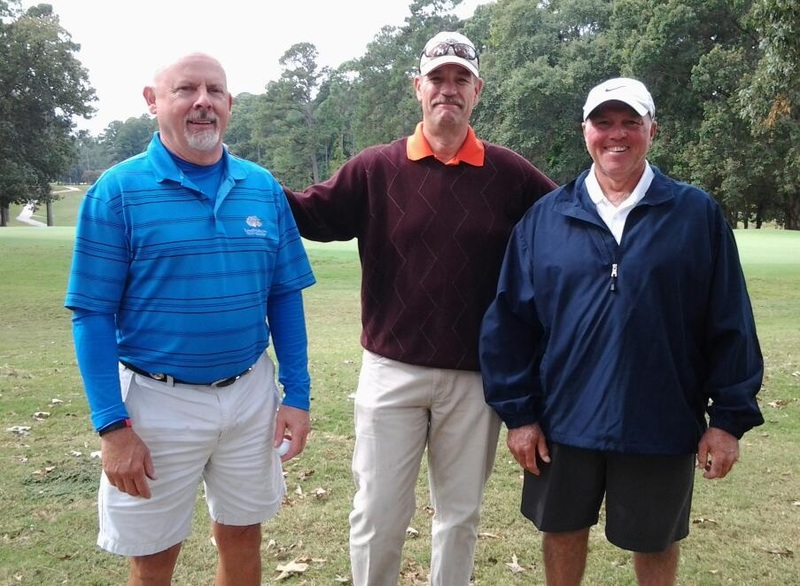 Our playing partners at Lake Marion and Santee Cooper were Ed Halcomb and the aforementioned Jack Slater. Demonstrating that it is, indeed, a small world, we learned moments after meeting these fine gentleman that Ed was a longtime resident of Northeast Ohio - living in Geneva and working in Mentor and Painesville - before retiring at 55 and making the move to Santee. "Do-it-all-Ed'' works behind the counter in the Lake Marion pro shop when he isn't out on the course cranking out long drives and accurate iron shots. Jack came to Santee from New Jersey and is a master of many trades. In addition to his work in the club repair shop, he's an expert stone mason and carpenter whose handiwork is everywhere to be seen at Lake Marion and Santee Cooper. The same as Ed, Jack also is a fine player. That's Ed on the left and Jack on the right. At Wyboo, about a 25-minute drive from our villa at Lake Marion, our playing partners were Dana Perry, the head professional at Lake Marion and Santee Cooper, and noted local amateur Charles Persinger. George and I could not have fared better than we did in having Ed, Jack, Dana and Charles as playing partners. They showed us Southern hospitality at its finest. There was an added bonus to playing with Dana and Charles at Wyboo. During our round, I tapped into their expertise while shooting a video lesson on how to effectively, consistently move the ball out of the Bermuda rough that lines the fairways of most of the courses in the Santee area. I'll be the first to admit I struggled mightily with the stuff.